Vedder Holsters was founded in 2012 by husband and wife team Mike and Brooke Vedder. When the couple decided to get their concealed carry license, they were surprised to find that quality concealed carry holsters were hard to find. When the search turned up empty, the Vedder’s decided this was an untapped market. The couple began creating holsters out of their garage with several priorities. First to provide customers with the best quality holsters, at affordable prices, with reasonable lead times and first class customer service. ‘Our goal was always to be the best and make products that met the needs of our customers. We do not skimp on quality. Every part of every holster is designed with the end user in mind.’ says Mike. Pricing is also an important factor and while we are not the cheapest holster on the market, we are also far from the most expensive. We aim to be affordable without sacrificing quality giving our customers the best bang for their buck. While many competitors who offer custom products have unpredictable and/or extreme lead times, we know that when our customers order a product, they want a predictable production time. This is why we have always given a standard 2-3 business day lead time for the production of all of our custom products. All of the above are great but it is equally important to have a solid customer service team to reach out to with questions. Our customer service representatives are trained to deal with a broad range of product specific questions and are also given resources to quickly locate answers to any new questions. This allows for rapid response times to questions. We strive to put ourselves in the customers shoes and treat our customers the way we want to be treated. This results in an extremely high customer satisfaction rate. This is the Vedder brand. Second was to provide an awesome work environment where employees come to work hard, play hard, and receive fair compensation for a hard days work. Vedder Holsters is proud of its American roots and love that we provide great quality jobs to our incredible staff. Each member of the Vedder team is part of the family and we genuinely appreciate everyone’s hard work and dedication. 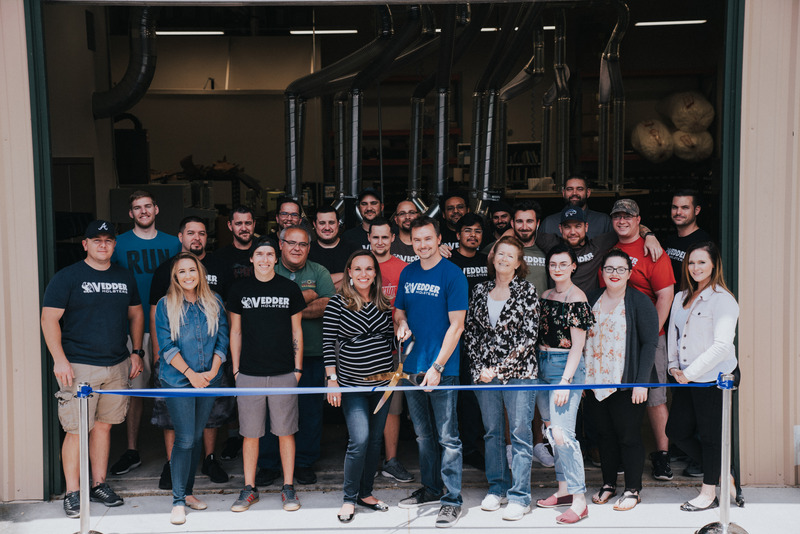 Every Vedder product that is purchased is supporting our amazing Vedder family and we cannot thank our customers enough for their business and loyalty!